Another free voice guided navigation app has arrived for BlackBerry smartphones. It goes by the name of Gokivo and seems to tick all the boxes. 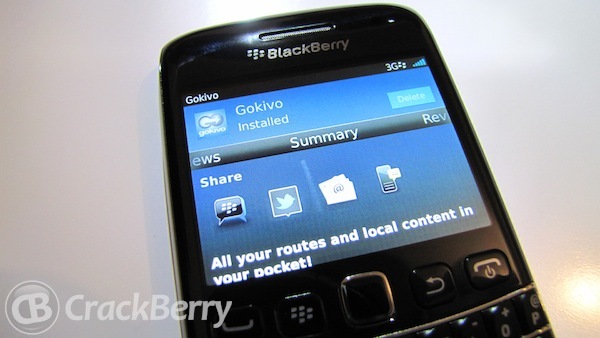 Like a few similar applications, Gokivo doesn't store the maps on your BlackBerry but instead downloads each route as you need it. I took the app for a drive last night and it performed just like it should. With a nice choice of colors on screen it looks good too. In addition; POI's are built in so you can ensure that local amenities are always at hand. We will have a full review of the app here on CrackBerry but in the meantime if you want to give it a try yourself you can download from the below link. We would love to hear your views.